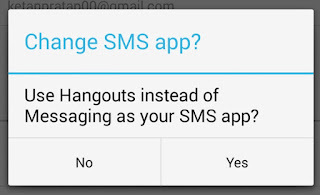 Open the default messaging app – Hangouts. click the 3 horizontal lines icon on the top-left. Tap SMS Disabled and then tap OK. This can take a few seconds to complete after you tap OK.
Scroll down to the ADVANCED section. Check Delete old messages. This will delete old text messages from your phone when the memory is low. Tap the three dots button in the top right. Go to Settings > Storage. Tick “Delete old messages” and in the drop-down menu below, set the limit on the number of messages each conversation can have. If you want to save an old message from being auto-deleted, long press the specific message in the conversation, and tap Copy to Saved box. 1. Launch the ‘Settings’ icon on your iPhone. 2. Scroll Down in the ‘Settings’ and choose ‘Messages’ option. 4. Scroll down again and tap ‘Message History’ (Keep messages). Now choose the time limit for which you want the messages on your device to stay. It is by default set as ‘Forever’. 5. Choosing 30 days will delete all those messages from your iPhone which are older than 30 days or 1 month, while choosing 1 year will delete all the messages which are older than 1 year. 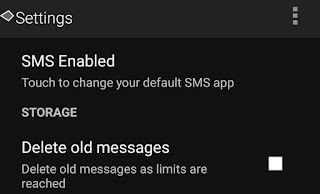 Did your try the ways mentioned above to automatically delete the text messages on your device? Let us know your views in the comments below.